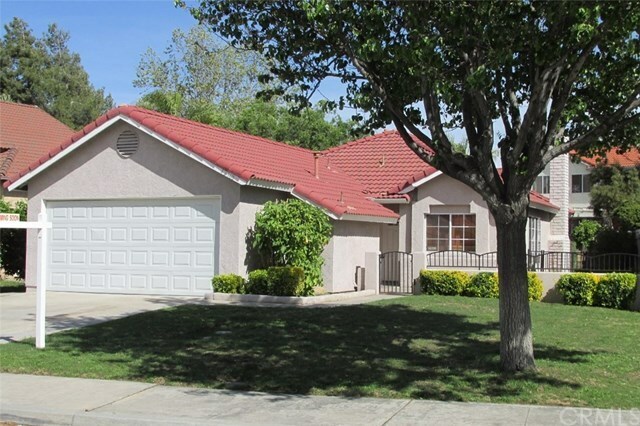 Lovely single story home on a quiet CUL-DE-SAC in south TEMECULA. 4 bedrooms, 2 bathrooms, plus great room with fireplace, living room, and dining area. Vaulted ceilings make the home feel bigger than it is. NEW PAINT throughout! NEW CARPET in all bedrooms. NEWER HVAC SYSTEM. Kitchen has GRANITE COUNTERTOPS, all appliances, and window to the front patio. TILE FLOORING in kitchen, great room, hallways, and bathrooms. Front patio is just waiting for your gazebo, BBQ, and personal touches. Backyard also has a nice patio area, plus citrus trees and grass area for a swing set. Two car garage with built-in storage, laundry hookups, and deep sink. NO HOA and VERY LOW TAXES. Excellent Temecula schools include Great Oak High, Gardner Middle, and Luiseno Elementary. Easy access to the 15 freeway. Very close to huge city park, Pechanga Resort, golf, dining, and entertainment. Please click on the virtual tour buttons for multiple photos! Back on market because Buyer couldn't get his funds together. His loss is your gain.